Neon Gym T-Shirt Lime. Electrify your high-intensity workout in the neon gym t-shirt by Glimms. You’ll be wearing the “it” shade of sportswear in this brilliant chartreuse hue. 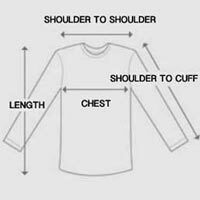 This compression t-shirt is composed of a soft poly-spandex blend for comfort with maximum flexibility. The sleeves are designed with sheer mesh strips at the armpits for optimal cooling. Pair the neon gym t-shirt with neutral workout pants for a vivid shock of color. The black flatlock stitching along the arm will accentuate and define your shoulder blades. Exercise in activewear as intense as your workout in the neon gym t-shirt.